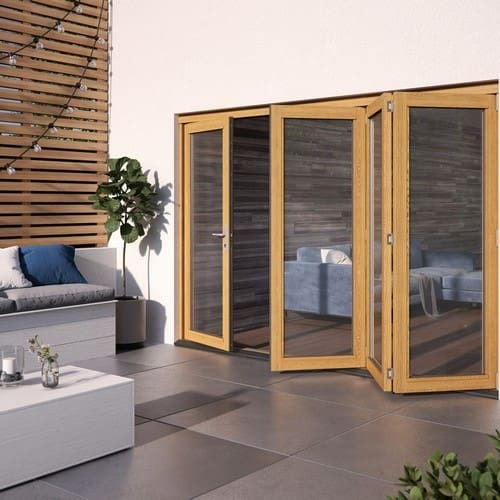 The JELD-WEN 3000MM Kinsley hardwood folding patio doors combine style and strength to deliver a durable folding sliding patio doorset and are a classic extension to our Kinsley French doorset. 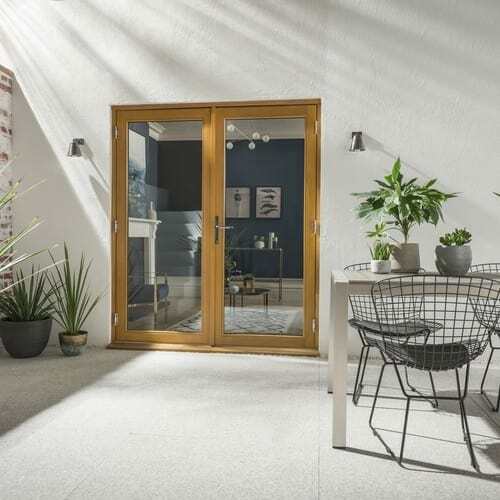 This patio doorset is made from the same solid hardwood engineered material and hardware options as the Kinsley French doors to offer a suited patio range to a property. 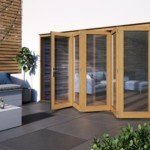 The 54mm thick engineered hardwood combines style and strength to deliver a durable folding sliding option. It features 28mm toughened double glazing with a U value of 1.4w/m2k. Complete with polished chrome handles as standard, it is finished in a golden oak stain and comes with a 2 year manufacturer’s guarantee.